Comfortably seats 10. The Chaparal Sunesta is perfect for pulling tubes, skiers, and wake boards around Lake Gaston. 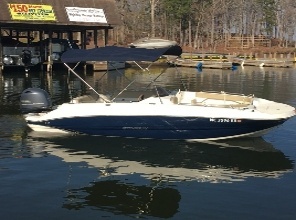 Includes: 5 liter V-8 inboard engine, bimini top for shade, auxiliary port and radio for music, swim ladder, depth finder, suitable for pulling tubes or skiers. All vessels include life jackets and safety equipment. Comfortably seats 10-12. 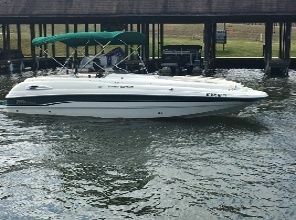 Cruise on Lake Gaston or pull tubes, skiers and wake boarders with the Premier Pontoon Boat. 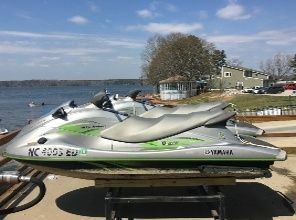 Includes: 150HP Suzuki 4 stroke engine, bimini top for shade, auxiliary port and radio for music, swim ladder, suitable for pulling tubes or skiers. All vessels include life jackets and safety equipment. Comfortably seats 10. 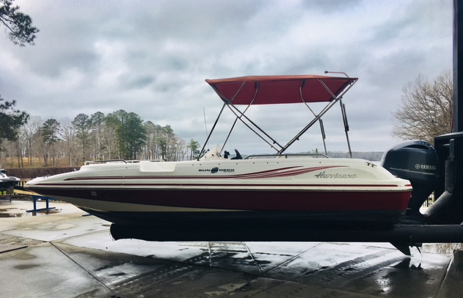 The Sea Ray ski boat is perfect for pulling tubes, skiers, and wake boards around Lake Gaston. 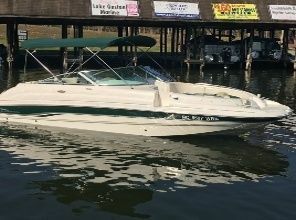 Includes: 300 horse power with a 5.7 liter V-8 inboard engine, bimini top for shade, auxiliary port and radio for music, swim ladder, depth finder, suitable for pulling tubes or skiers. All vessels include life jackets and safety equipment. Comfortably seats 8. 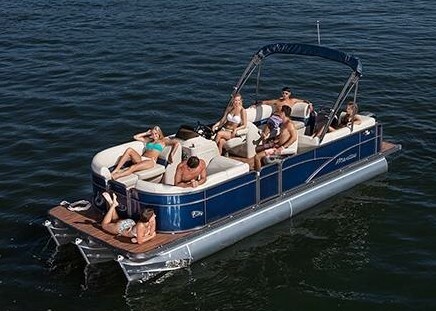 This vessel is perfect for pulling tubes, skiers, and wake boarders. 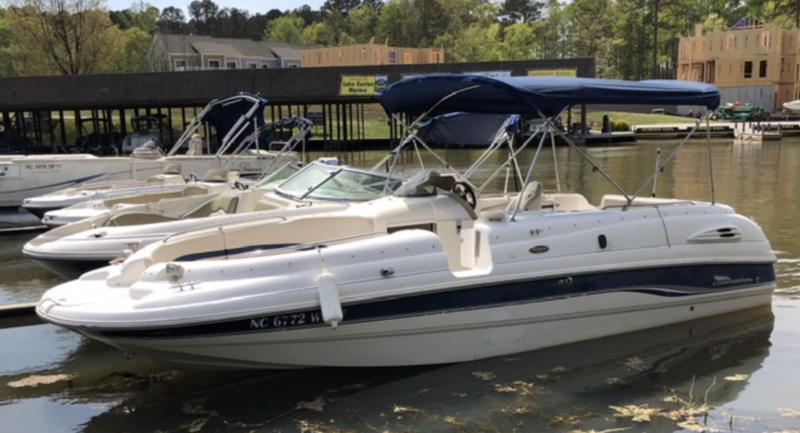 Includes: 115 Yamaha 4 stroke engine, bimini top for shade, auxiliary port and radio for music, swim ladder, depth finder, suitable for pulling tubes or skiers. All vessels include life jackets and safety equipment. 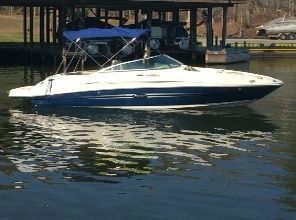 Seats 1-2 Passengers to cruise around Lake Gaston.